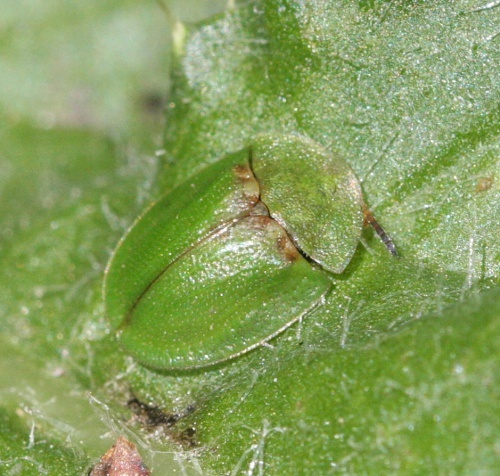 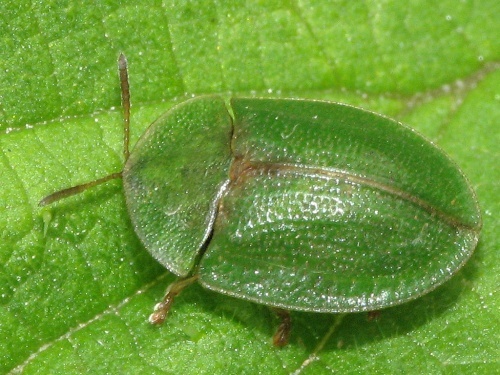 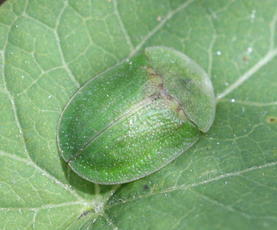 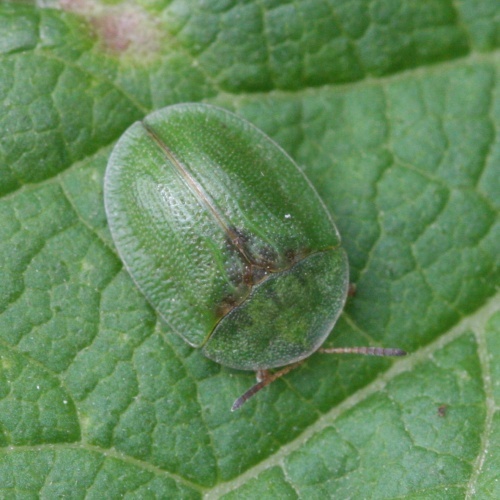 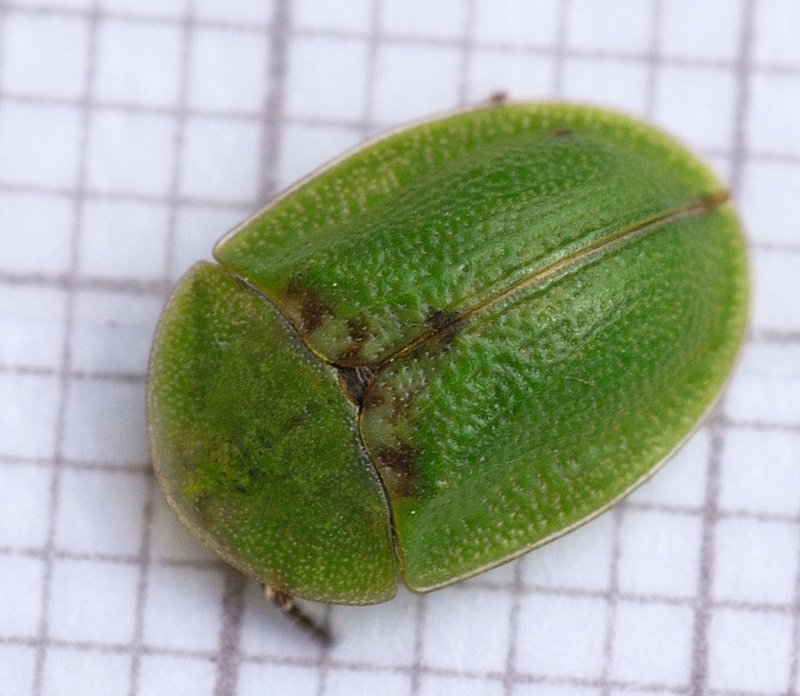 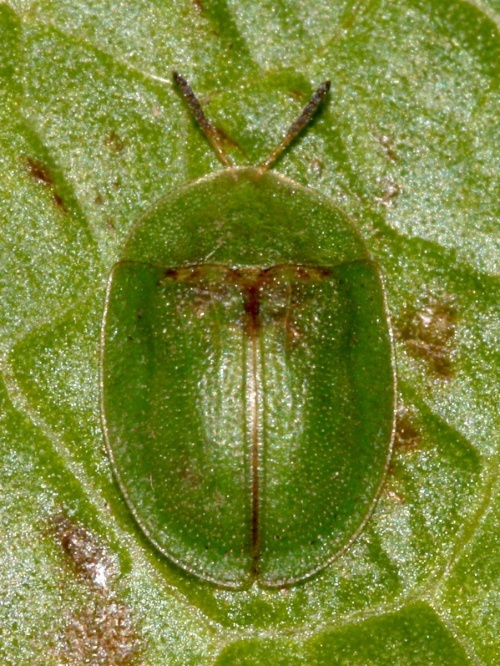 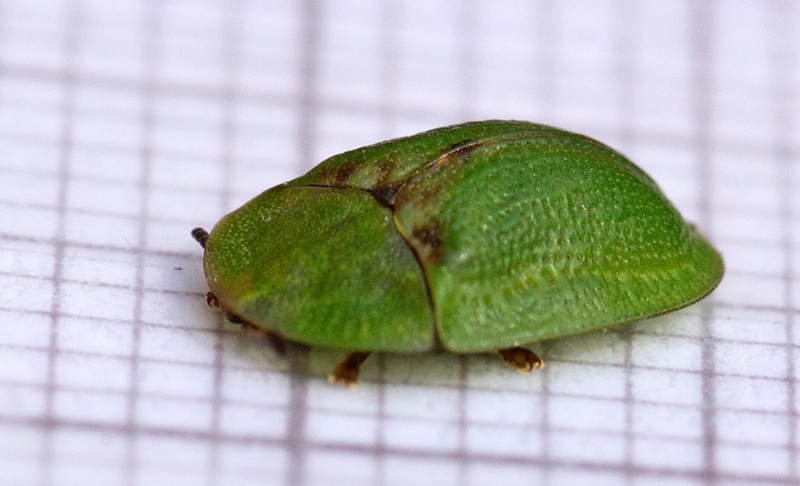 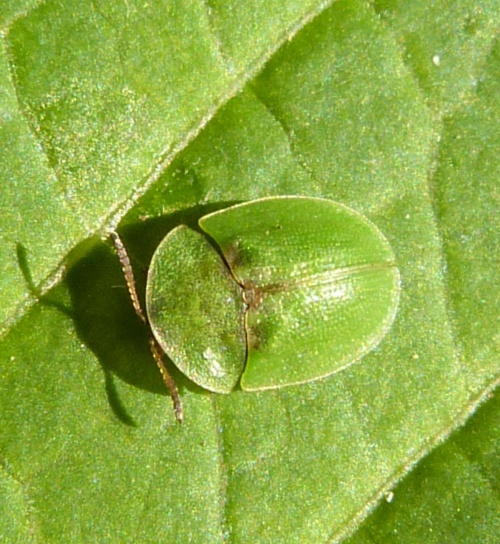 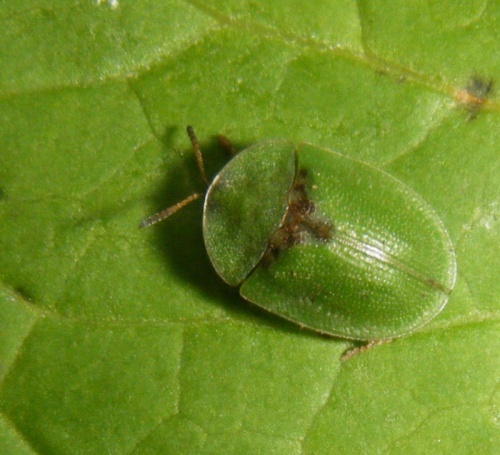 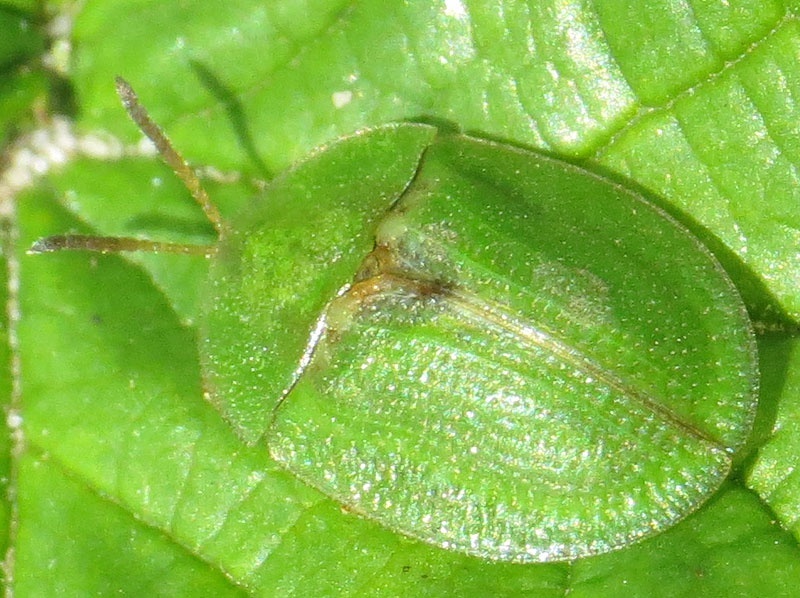 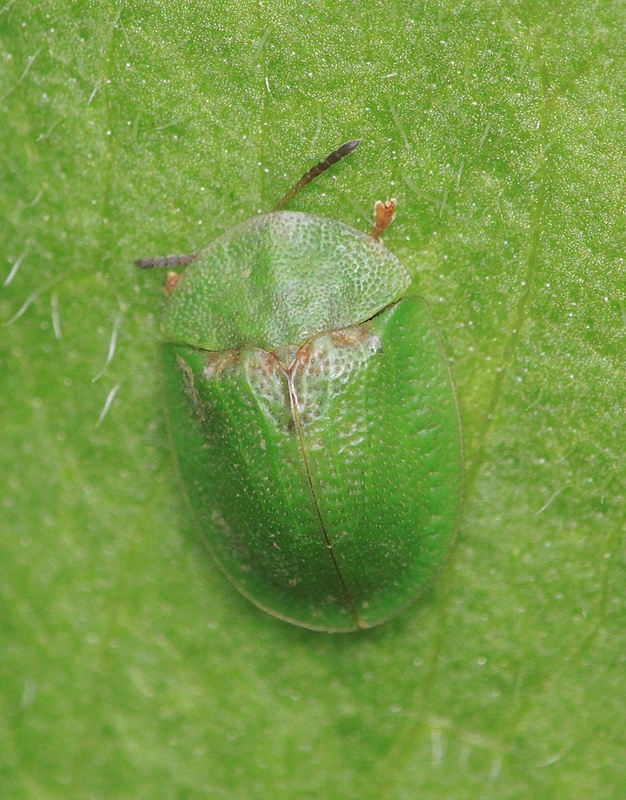 The elytra are matt green and it often sits with the edges flush to the leaf, leaving no shadow. The specific name rubiginosa refers to the beetle's ability to produce a red liquid from the head. 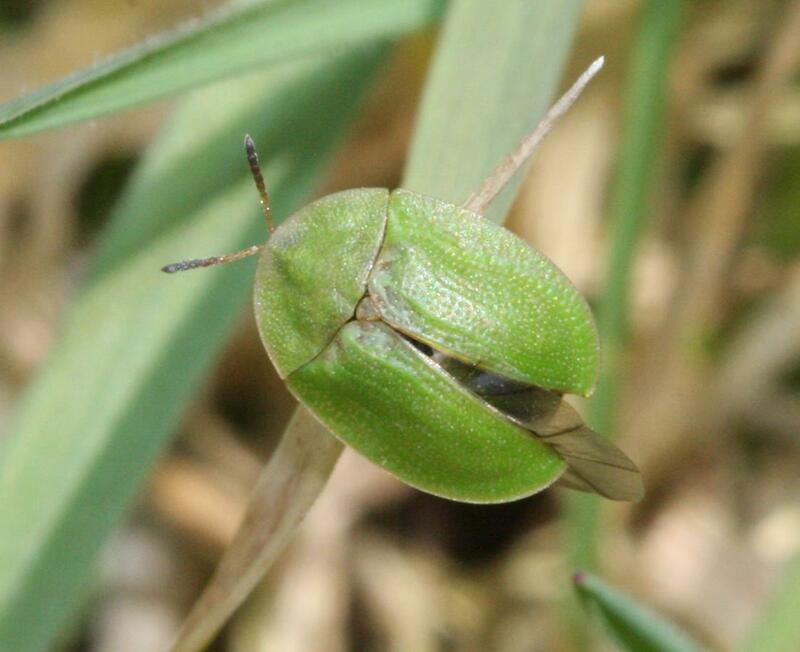 Rough grassland and similar habitats that contain Creeping Thistle. 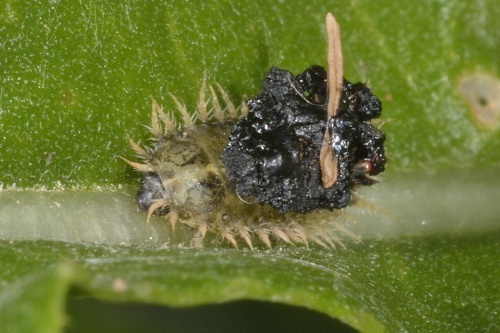 This species has the most interesting larvae and pupae. The larvae have twin tail-spikes and these are sometimes used to carry dead skins and droppings in a kind of parasol. 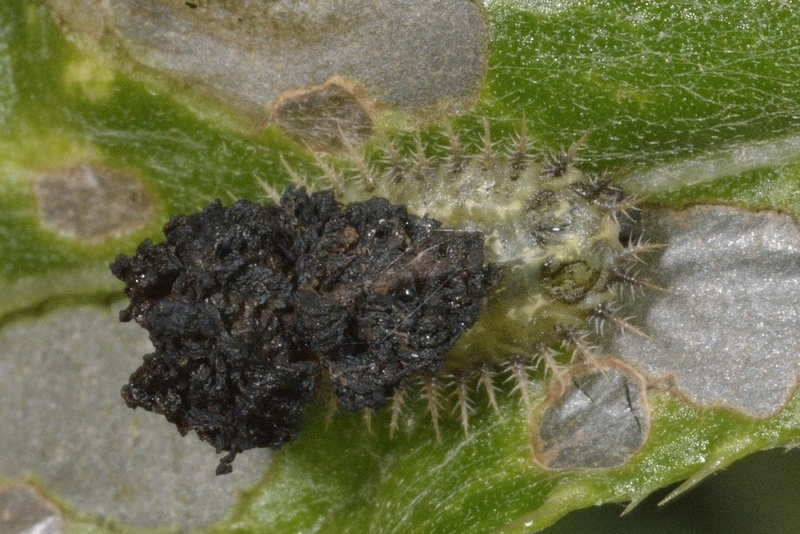 The spikes are retained by the pupa and these are flicked forward if it is disturbed.